To help you manage risk better, the field of risk management specializes in the logical development and implementation of plans to deal with potential losses. According to Mark S. Dorfman, author of “Introduction to Risk Management and Insurance,” the purpose of a risk management program is to manage an organization’s exposure to loss and protect its assets. This article looks at how to implement risk management in your contract management processes. Business risks – e.g., poor relationships, failure to obtain objectives, bad public relations, declining morale, instability, weakening of brand integrity, loss of goodwill, and reduced revenue or profits. From these categories, it becomes clear that risk management needs to not only focus on single transactions, but also be systematic and ongoing. You should review clauses on a quarterly or annual basis to evaluate whether or not the terms are still appropriate, especially with long-term partners. Once the liability and business risks of a contract have been identified, your team is ready to review, analyze, evaluate, mitigate, manage, neutralize and, when possible, eliminate the contractual risks of a contract. Miller also provides a great checklist of the steps usually involved in the process of contractual risk management. Keep in mind that not all steps are required for each contract, and that some of these steps may be done at the same time. Identifying commercial contractual risk management issues using an appropriate multi-domain team– It is best to have representatives from every department (business, operations, sales, marketing, technical, legal, finance, etc.) 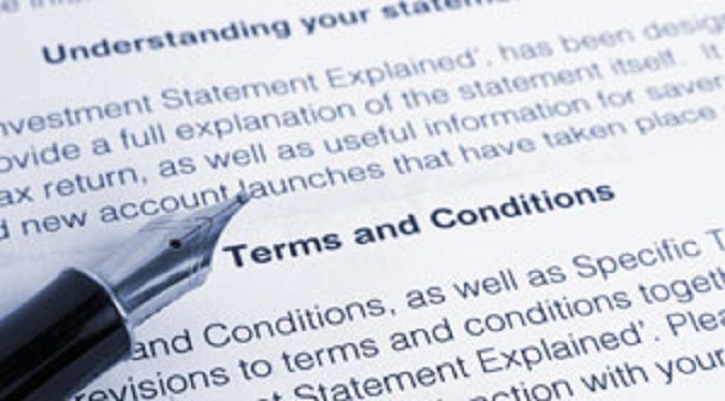 look at each contract so that all potential risks can be identified. For example, the assessment of risks for implementing a new support & maintenance service plan for IT equipment cannot be left only to the legal department; the CIO also needs to be involved. Given that this process may involve several parties, using contract management software helps manage tasks, allocate tasks to team members, and store documentation of the process. Evaluating and estimating commercial contractual risk management issues – Identify the risks, the likelihood they will occur, and their consequences. Implementing risk avoidance – Determine the threshold for acceptable risk, which determines the high-risk work that needs to be rejected. Engaging in risk reduction – From the set of clients that are below or at the acceptable risk threshold, the team selects the financially sound and non-litigious projects. Considering risk sharing by subcontracting/outsourcing – Sometimes risk can be reduced by outsourcing key processes to an expert. Through the involvement of an expert, your company can provide evidence of due diligence. Using insurance to control risks – Hedging your potential losses through insurance is often a necessary, if not legally required, step. Applying risk mitigation by avoidance, elimination, transfer, or bearing the risk (if appropriate) – Often, this involves the creation or modification of contract clauses. Having a library of all pre-approved clauses is a key factor for the successful contract risk management of any company. Contract management software such as Contract Logix Premium offers unlimited storage for your contracts and pre-approved clauses and template libraries. Executing risk neutralization – Making sure that all parties accept the clauses drawn in the previous step and modify them as needed. Monitoring and controlling risk – Create specific checkpoints in the contract lifecycle to monitor and control risk. With contract management software you can configure email alerts, tasks and calendar reminders that prompt action in advance of milestones or deadlines. Consistently using well prepared agreements and contractual provisions – This last step is crucial. It is not only important to carefully develop clauses, but also to enforce their implementation. The better prepared your agreements are, the lower your risk will be. Pre-approved clause and template libraries as well as reporting functions available in contract management software minimize and provide visibility into deviations from standard language. Risk is inherent in any project. If your company is working within acceptable levels of risk, you can develop strategies to prevent and mitigate losses. Contract management software provides significant benefits to the coordination, development, and implementation of risk management.